Hyderabad Metro Recharge Offer On Paytm! Recharge your metro card & get cashback on Rs.50/- paytm cashback. You will save 20% cashback upto Rs.50 in your Paytm wallet. Apply the coupon code before proceeding to pay. Offer is applicable on first Hyderabad Metro smart card recharge. There is no minimum recharge amount to be eligible for this offer *Cashback will be credited within 24 hours. PhonePe Landline Bill Payment Offers! Pay now & get a scratch card to win upto Rs.1000/-cashback on your payment. The minimum transaction amount is Rs.200/- to avail this offer. Offer valid on landline bill payments only. Transaction paid for using ONLY wallet balance will not be eligible for the offer. You paid via UPI or credit or debit card, UPI+walllet or debit/credit card + wallet. The offer will apply on selected operators like Airtel, BSNL, Tata DoCoMo GSM, MTNL Delhi, MTNL Mumbai, Reliance, Tata Docomo CDMA. Coupon code applied automatically during the final payment. Offer valid for new users & existing users of PhonePe. Hurry up, Pay your bill now. Recharge your mobile with MobiKwik and get great cash back. MobiKwik has brought an amazing deal for you wherein you get fab cashback. MobiKwik offers 30% cash back on your prepaid mobile recharge. Mobikwik Coupons are not needed to avail this discount. This offer is extended on all the telecom service provider. This deal is extended to new as well as existing Mobikwik user. This cashback offer is valid for a short span of time. Freecharge offers 100% cashback on your bill payment/ recharge. With this offer, you can get Rs 50 as the maximum amount of cashback. You do not need any minimum transaction to avail this discount. Freecharge Coupons provided here can be used to avail this discount. This cashback can be availed only by the new user only. Valid on successful Recharges/Bill Payments done till 30th Apr, 2019. Get Flat Rs.75/- cashback on jio recharge. Minimum transaction amount should be Rs.100/- to avail the offer. Offer valid on new freecharge users only. Maximum cashback that you can avail is Rs.75/-. To avail this offer, the customer needs to undertake a successful transaction on the FreeCharge App. Enter the freecharge coupon code while performing the transaction. Offer is valid for JIO transactions only. The offer is valid once per New User/FreeCharge Account/credit card/debit card/net banking/device/mobile number. Have a low balance? Don't worry! Recharge your mobile phone from freecharge & get Flat 10% cashback on your every transaction. Cashback will be applicable on dth recharge, bill payments & mobile recharge. Freecharge promo code can be used by multiple time. This freecharge offer is valid on a minimum transaction of Rs.15/-. Coupon code has to be applied to avail cashback offer. Go ahead, Recharge it now. PhonePe offers on metro smart cards! Ge upto Rs.200/- cashback on your first ever recharge of Delhi Metro Smart Card on PhonePe. 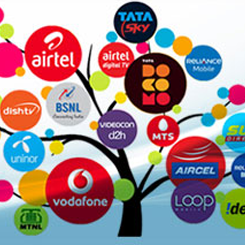 Maximum cashback that you can avail is Rs.200/-. This offer will be applicable on recharge of delhi metro smart cards on phonepe. Offer is valid on minimum transaction value of Rs.100/-. Ensure that payment to be made through UPI. On a successful transaction on delhi metro smart card, you get the scratch cards. In the phonePe app, click on view all rewards section. Find the unscratched cards and swipe to redeem the rewards. Once you redeemed scratch card cashback will be credited within 24 hours. Get a scratch card and win assured cashback upto Rs.75 on repeat Jio prepaid mobile recharge on PhonePe. Minimum transaction is Rs.149/- to avail the phonePe cashback. Offer valid on repeat Jio prepaid mobile recharge. You can choose any method for payments as in UPI, Credit or Debit cards, UPI wallet. You do not require any promo code to redeem the cashback. Coupon code will automatically be applied during the checkout. Don't waste your time, Pay now. Paytm is back with its monthly recharge offers! Get flat Rs 20 Off on a recharge/bill payment up to Rs 50. Paytm offers up to 100% cashback on recharge and bill payment. With this deal ,200 Lucky winners will get 100% cashback every hour. To avail this deal use the Paytm Promo code listed here. This Promo Code is applicable on recharge and bill payment only. No minimum order value to apply this promocode. Winners will be selected automatically from the system and no winners list will be published. So try your luck Now. Pay for your recharge and bill payments on Paytm and get a great deal. Paytm offers flat Rs 100 cashback on Diljit Dosanjh Concert Ticket in delhi. To avail this offer, use the Paytm Coupon Code listed here. This promocode is valid only on recharge & bill payments. This promocode can be used 1 time per user. Please make sure to apply this coupon before clicking on "proceed to pay". Use this promocode to purchase Diljit Dosanjh Concert Tickets on Paytm.com and Paytm app. Pay for your recharges and bill payments via paytm and get great deals. On paying your bills and recharges via Paytm get Rs.1200 cashback on travel ticket booking. User the Paytm Promo code listed here to avail this deal. The Offer is valid for one-time usage per user. The Cashback will be credited within 24 hours of a successful transaction. So avail it as soon as possible.